Osteoarthritic changes of the hip can cause pain, swelling and deformity of the joint. Many people are unaware that Chiropractors can play a key role in the conservative management of hip Osteoarthritis. Ealing Chiropractor at Neuroworks Chiropractic, Johan C Jeronimus DC DACNB, explains that Chiropractors are healthcare professionals who focus on the diagnosis and treatment and even prevention of a number of biomechanical problems. At Neuroworks, Johan and his colleague, Jake Cooke MChiro DACNB, use their expertise in joint and soft tissue work, combined with counselling on appropriate changes to lifestyle and diet, and advice on beneficial, appropriate exercises that patients can do at home. Their ongoing support provides a holistic approach that can be a standalone or an adjunct to treatments and/or medications prescribed by GPs or Specialists. Should surgery be necessary, it can help with pre-op preparations and post-op rehabilitation. If you have a diagnosis of Hip Osteoarthritis, please call to arrange an appointment on 020 8566 3757 at your Ealing Chiropractor today. Osteoarthritis is a condition that usually worsens over many years. 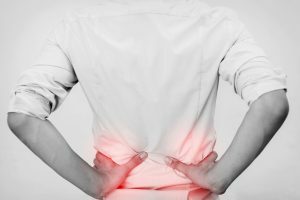 Inflammation or an injury to the hip joint causes the cartilage, a rubbery material that forms a protective coating over the ends of bones, to break down. This erodes the protective function of the cartilage, causing it to be less effective at reducing friction and acting as a ‘shock absorber’. The result is joint stiffness, pain that can range from a dull ache to a sharp, stabbing and localised swelling. All this can be very debilitating, causing problems in walking. Factors that can increase the potential for developing hip Osteoarthritis include growing older or having had an injury to the joint. However, highlighted during the recent Obesity Awareness Week (9th-15th January here in the UK)¹ is the fact that being overweight can be a major factor too, causing additional stress on all weight-bearing joints, including the hip. Often, a GP referral for an X-ray will show the telltale signs of hip Osteoarthritis that can include bone spurs developing on the margins of the joint and narrowing of the joint itself. However, there is no single, definitive test for diagnosis of the condition and often a combination of physical examination and X-rays will provide the answers. Hip resurfacing is an interim surgical option that replaces the affected hip joint surfaces – but by covering the ball joint of the thigh bone of the thigh bone rather than replacing it. The thigh bone is preserved in its entirety so that hip replacement could be carried out in future, should this prove necessary. In hip replacement surgery, the head of the femur is replaced with a metal ball and the socket part of the joint is resurfaced and lined. At your Ealing Chiropractor, Neuroworks Chiropractic, our holistic approach aims to improve the mobility of each patient and to help with the reduction of pain. We can provide nutritional advice including suggested dietary changes and supplementation. We can also teach safe and appropriate strengthening and stretching exercises. Our conservative and drug-free treatments can be hugely beneficial, especially when excess weight is a contributory factor. These conservative measures may delay or even prevent the need for invasive surgical intervention. Please call us today and arrange an appointment to discuss the treatment options and alternatives available to you. ¹ Neuroworks Chiropractic wholeheartedly supports the aims of National Obesity Week but is not affiliated with, nor endorsed by The National Obesity Forum.